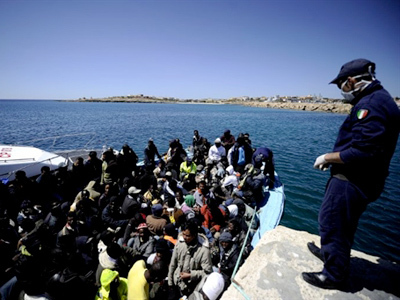 The unrest in North Africa and the Middle East has led to an influx of immigrants into countries like Italy and France, causing friction between EU members and prompting calls for the reinstatement of internal border controls. ­The dream of European integration seems to have gone off the rails. 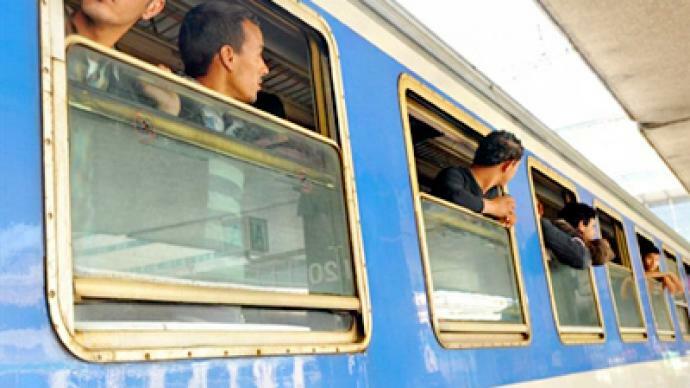 In a bitter feud between two of the EU's founders, France blocked all train services from Italy, after finding carriages full of African migrants. Italy had handed out residence visas allowing travel in the European Union. That has shattered the trust on which the EU's visa-free regime relies. “Are we responsible for the fact that Italians are just on the sea with people coming from the outside and not able to fix the problem? We are not criminals, terrorists, madmen – we do not want them here,” said Claude Moniquetthe, the director of the European Strategic Intelligence and Security Center. For thousands fleeing the violence in North Africa, Italy is the nearest EU border. Security experts who have studied the country's patrols, say they are not strong enough. 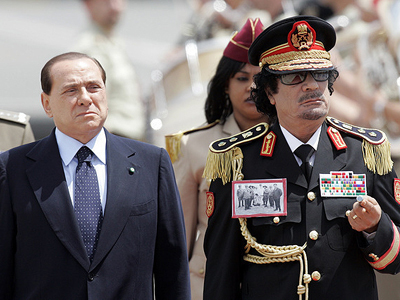 But fellow member states should not pay for Italy’s mistakes. “Are we responsible for the fact that Italians are just on the sea with people coming from the outside and not able to fix the problem? We are not criminals, terrorists, madmen – we do not want them here,” said Pascouau. Rome has protested to the French embassy over “violation of European principles”. France says it already takes five times more immigrants than Italy. MPs at the European Parliament say they need to control immigration, but with each member state putting its interests first and blaming each other for the problem, migrants are just getting passed from one state, to another. EU security chiefs this week held crisis talks, and admitted the system’s ripe for abuse. “One and the same applicant for asylum can have like 70-75 per cent chance of being granted asylum in one country of the European Union and less than one per cent, with the same reasons, in another country,” said Cecilia Malmstrom, the EU Home Affairs Commissioner. States are taking the law into their own hands. Denmark reintroduced border controls for other EU members on Wednesday. Belgium, home to the headquarters of the European Union, is now calling for the same. “Italy is giving immigrants and illegal immigrants to France, and giving them back to each other – this is not possible. It is impossible for the people in question, but it is not possible for the EU. This situation asks for more internal border control,” thinks Belgian Senator Anke Van Dermeersch. Growing numbers in the EU's biggest country want border checks too. “Germany today proposed possible restrictions on freedom of travel, and this is something many people are concerned about,” says analyst and author Michael Mross. 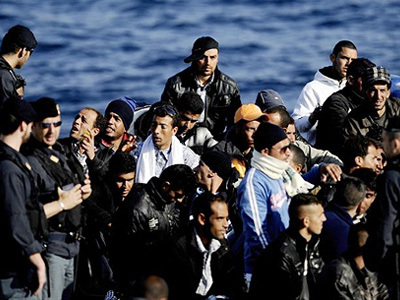 Richer nations in the EU also fear invasion from within. Restrictions on working and benefits for citizens from eight central East European states, which joined the EU in 2004, were lifted on May 1. Member of the European Parliament Gerard Batten warns they will flood to the UK. “It attracts people from the countries that have just joined and attracts people from outside of the EU, because they know, once they get into an EU country, they can cross borders, they can work if they want to or take advantage of the generous benefits system in most or some European countries like Britain. And it actually attracts more migrations which is what we are seeing from North Africa,” says Batten. At the signing of the Schengen agreement on visa-free travel, EU leaders were all smiles. The fear now is they have opened a Pandora's box that they no longer control.